‘One small step for man, one giant leap for mankind’. Immortal words uttered nearly fifty years ago on the first voyage to the moon. That first trip was a huge step for science and demonstrated what some of the greatest minds of their generation could achieve. There is still a lot of the moon that remains unexplored, and with the help of 3D printing, we’re going back. Two companies, California based Moon Express, and New Zealand’s Rocket Lab Ltd are working together to put a robotic rover on the moon to collect HD footage. The rocket they are using is a far cry from the kind used in 1969, with the engine being designed and developed to take advantage of 3D printing. They can print and assemble the ‘Rutherford Engine’ in just three days, with the engine chamber, pumps, main propellant valves and injector all being 3D printed. This not only makes the process fast, but also significantly reduces the weight of the rocket by opening up new design opportunities. Moon express are planning on sending their rover up in this rocket, and if they can manage it they will be the first privately owned company to achieve a soft lunar landing. They will also be eligible for Google’s Lunar XPRIZE, a $30 million prize pool for being the first company to land a rover and have it traverse the moon sending back footage. It will also show the world that space is more accessible than ever, and hopefully inspire a whole new generation of space explorers. They have until 2017 to launch their rover, but from the footage below, it looks like they are nearly there! 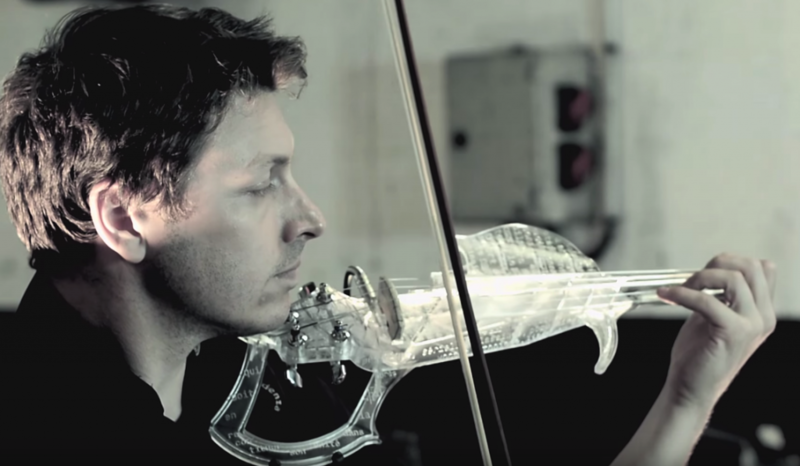 Medicine is one of the most exciting applications for 3D printing. The idea that we can create custom braces, grafts, limb replacements and more that are uniquely shaped to help each individual to overcome whatever ails them is very exciting indeed. The newest contender for most impressive use of 3D printing is the titanium ribcage. 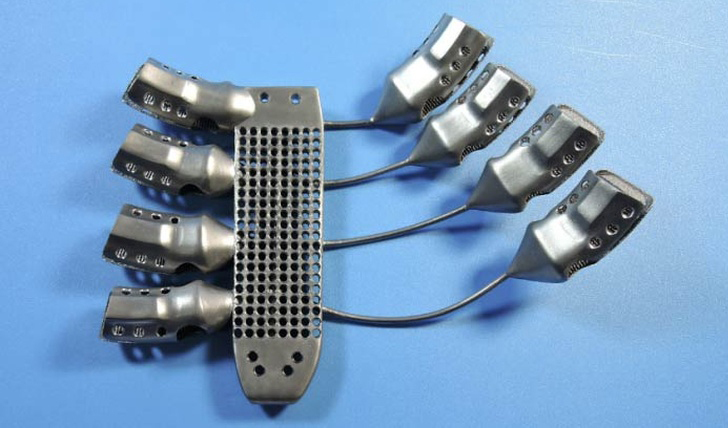 Designed and built to replace the ribs of a man that had to be removed due to a tumour, the part was specifically printed to match his exact internal geometry. Ordinarily, it is very difficult to replicate the rib cage due to the complex shape and a flat titanium plate has been the go-to option for the last few decades. They aren’t ideal, as they can come loose and increase the risk of further harm or complications. By taking a CT Scan of the man’s chest prior to the surgery, the hospital was able to have a pre-made rib cage replacement sitting ready to go once they had removed the cancerous area. 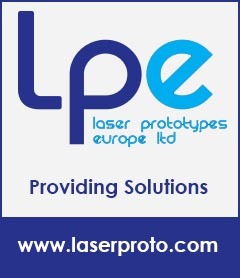 Rapid Prototyping is perfect for this kind of requirement, as the speed at which the part was required was crucial- time is of the essence, especially with cancer. They needed a part as fast as possible, and as they were only ever going to build one with these exact dimensions Rapid Prototyping was the obvious choice. That is the essence of why Rapid Prototyping is such an important part of medical development- we need treatment fast, and it needs to customise to fit everyone’s unique needs. Landmines. Every month, 1200 people are maimed, and a further 800 killed throughout the world due to landmines. Landmine removal efforts are clearing about 100,000 mines a year, but at rate it will still be over 1000 years to get them all. The cost of clearing them is huge, with estimates in excess of $50 billion. Worse still, for every 5000 mines cleared, one person will die in the process. There are over 110 million active landmines all around the world. To put it in context, there is approximately 57 million square miles of land. This means that there are nearly two mines for every one square mile of earth. Of course, the mines are not scattered evenly, with countries like Cambodia having a much higher concentration- 6 million mines to only 112,489 square miles of land- a much scarier 53 mines in a square mile. But minesweepers have found themselves an unlikely ally in the fight to clear the planet of these dreadful things. 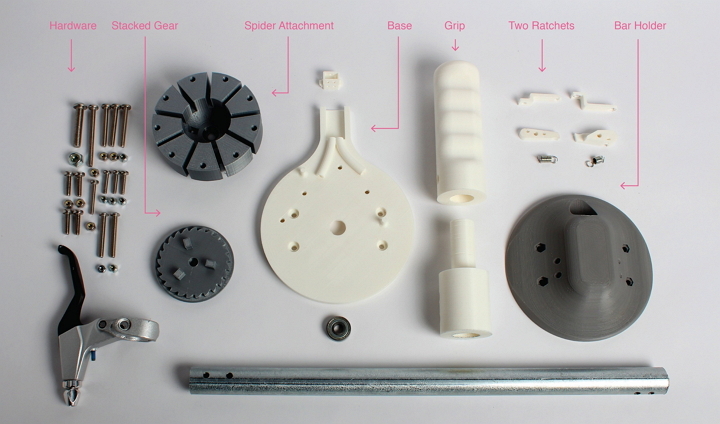 Using 3D printing, J. Kim Vandiver and Allen Tan have been working on a way to print demining training aids. Mines are very hard to transport (even deactivated ones) as they are considered ordnance, and as such no airline or courier will go near them. It can be difficult to teach the complicated process of demining without live models- books and charts simply do not cut it. In countries like Cambodia, where the problem is at it’s worst the lack of training tools is even more notable as many of those on the demining teams have little or no formal education to start with. This makes learning such a difficult process from a book even more challenging- and minesweeping is a career in which you absolutely have to know what you are doing. Using 3D printing, Tan has created a suitcase (below) full of replica land mines. He calls it the Advanced Ordnance Teaching Materials kit. 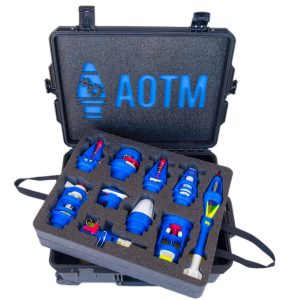 It contains ten 3D printed explosive devices, which he plans to use to teach minesweepers all around the world about defusing the mines safely. It’s already been noticed, with orders in from the UN, PeaceTrees Vietnam, Switzerland’s International Committee for the Red Cross, and even the US Army’s School of Explosive Ordnance Disposal. Hopefully the work that people like Vandiver and Tan can be built upon and further progress can be made in the fight to clear the world of landmines. 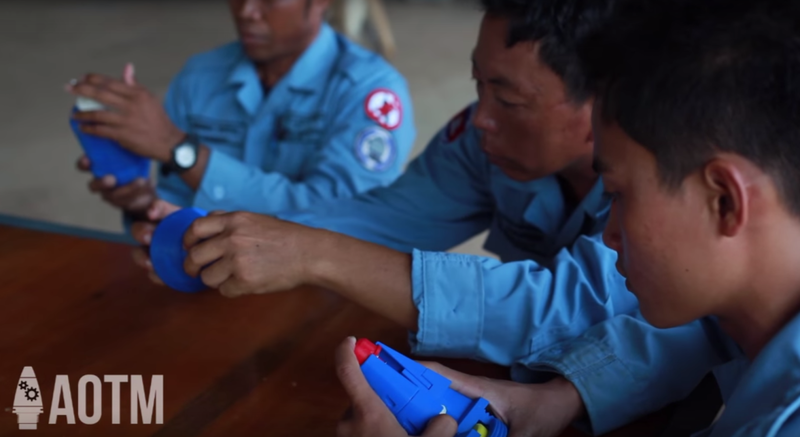 The video below shows a group of minesweepers working with the kits- and it is clear even watching them that the level of understanding as to how the mine operates is already improving- giving them the knowledge they need to safely diffuse any mines they encounter. The last few stories we’ve had about the progress being made in medicine with 3D-printing have been work undertaken in China. 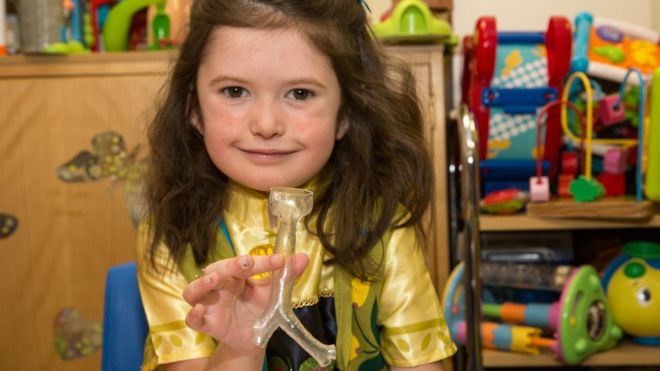 This week, something a little closer to home- a girl from Northern Ireland has recently undergone surgery that was made safer and easier with the help of 3D-printing. Six-year-old Katie Parke has a condition known as pulmonary alveolar proteinosis, or PAP. The disease causes a build up of grainy deposits in the lungs, which makes it harder to breathe. Unfortunately the primary treatment isn’t pleasant, and involves a procedure known as a lung lavage. Essentially, one lung is ventilated while the other is washed out with a saline solution. The difficulty arises in finding the correct size of tubes, with surgeons often wasting time trying multiple combinations to ensure the operation is successful. This time, they performed a CT scan of the area before the surgery and used 3D-printing to create an exact replica of Katie’s trachea. This let them select the tubes they needed before the operation and ensured that Katie spent as little time as possible under anesthesia and on a ventilator. Unfortunately, PAP has no cure as of yet, so Katie will have to periodically come in and receive treatment for the rest of her life. Due to her age she will have grown between each visit and different tubes will be required to fit her trachea. 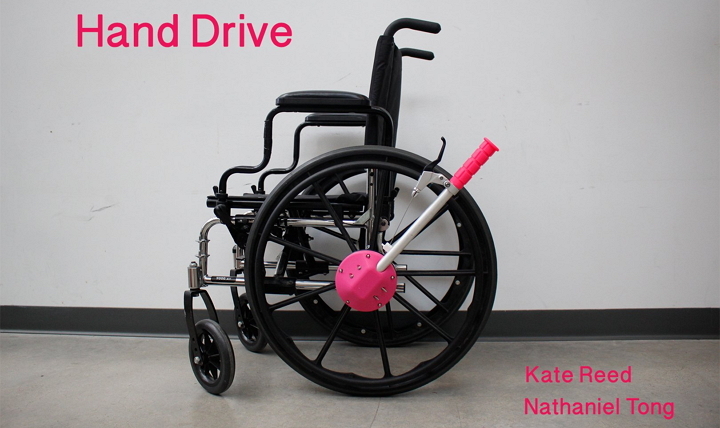 3D-printing a replica before each surgery will make the procedure easier, reduce the risks involved and improve Katie’s recovery time. Great Ormond Street has posted a video of a trachea being 3D-printed, which you can watch below. They are planning to expand their use of 3D-Printing to plan surgeries, improve training and ensure that their patients get the best possible care. Actually, it is. NASA have been testing 3D-printed rocket parts for the last few years, and they are finally starting to see some serious results. Last month they built a 3D-printed turbopump (a part used to produce a high pressure fluid for feeding a combustion chamber). The test is on display in the video below. The cool thing about 3D-printing these parts is that they used half the materials and produced the parts in half the time. That’s a lot of time and money saved considering the kind of budget space exploration has. The tricky bit at the moment is ensuring that the parts they make and as strong and dependable as traditionally made parts, which requires significant testing. Once that is done though the potential for development is incredible. 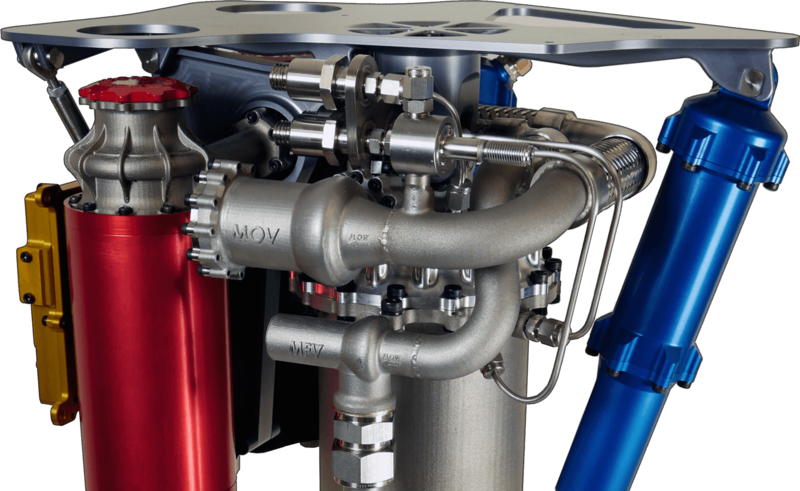 With future engine design stalled as many of the complex geometries required are not feasible using traditional methods, we are on the verge of a big leap forward in rocket technology. China is on a roll this month, with 3D-printed hip implants making the news last week, this week there are 3D-printed back braces in the spotlight. This is yet another excellent medical application that 3D-printing lends itself to in order to meet the growing expectations people have about healthcare. The Chinese are looking into using the braces to treat conditions such as mild to moderate scoliosis. Ordinary back braces are clunky, uncomfortable and don’t allow air to circulate- problems that are overcome with a custom brace. The brace can be designed with minimal extrusion, allowing it to fit under the patients clothes, and can have intricate patterns built in to improve airflow which reduces the buildup of heat, as well as making the brace lighter. The braces need to be light, but also strong enough to support the realignment of the patient’s back. Dr Hans-Rudolph Weiss, an orthopedic surgeon from Germany has been working with the researchers at the National Rehabilitation Aid Research Centre in Beijing and is continuing to develop the braces, working on making them more robust, lighter and less noticeable. Hopefully his efforts will help further the growing potential in 3D-printing for medical uses, and help make the lives of thousands of people easier. Implants are an important medical tool, used for over a century to allow those who have lost the use of a limb through injury or overuse to regain functionality in the limb. Initial efforts were crude compared to the methods used today, and over time the implants have become more sophisticated- lighter, stronger and better fitting. Now the parts are being 3D-printed using metal sintering to create better, more tailored parts. 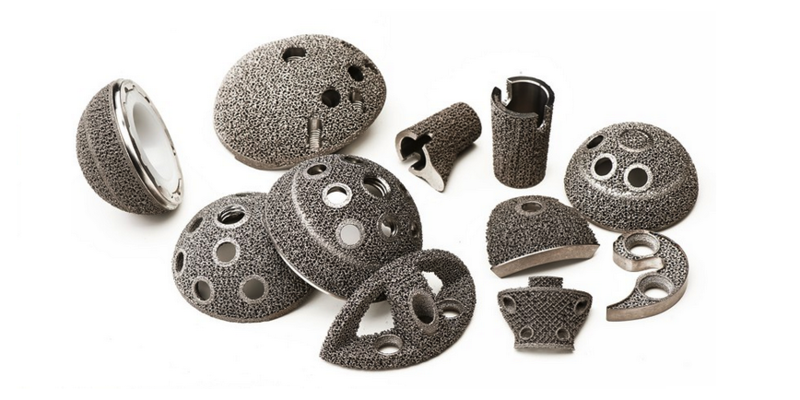 3D-Printing has been growing in importance within the field and now China has approved the use of 3D-printed parts for hip implants. This is a huge step. as hip implants are one of the most regulated medical devices in China. Having undergone trials since 2012, the patients who received the implants have seen a vast improvement. 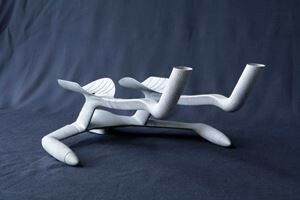 The lighter parts are much more comfortable, and 3D-printing them has proven more affordable than traditional methods. The secret to the 3D-printed hip joint is in the fact that it is partially hollow, which both allows for and encourages normal bone growth and helps speed up the recovery time for the patient. No doubt this will be the first of many 3D-printed devices as the Chinese government- and the world- realise the potential impact 3D-printing can have to advance medical technology. On Sunday Sir Bradley Wiggins broke the UCI Hour record- the record for the furthest distance a cyclist can travel in an hour. His distance of 54.526km (33.88 miles) beat the old record of 52.937km set by Alex Dowsett just weeks ago. The UCI has seen a lot of impressive numbers, with the record being tackled every few years and the peg being moved a little higher every time. The cyclists take the credit and do most of the work, but the technology that they ride has come across in leaps and bounds as well. 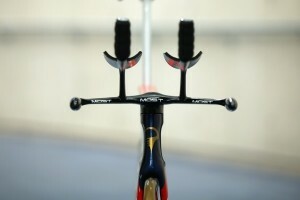 With aerodynamic clothing, carbon fibre bikes, and now custom 3D printed handlebars. 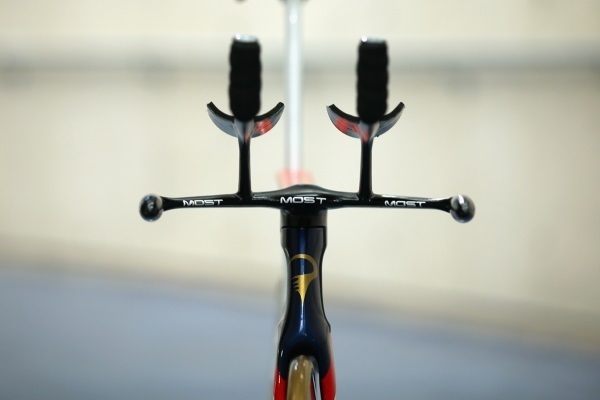 In order to ensure he had the best possible chance for his attempt, Wiggins’ handlebars were specially designed to be ultra-lightweight and have maximum aerodynamic efficiency. To achieve this they needed to ensure that they kept his shoulders as narrow as possible to give him the most streamlined shape. However, he was riding for a full hour so they still needed to be comfortable for him to rest his arms on for the entire duration of the ride. In order to achieve this, the parts were printed in metal allowing his team to make small changes right up to the final days before the race and customise the parts as they saw fit. Building in metal ensured that the handlebars were light enough so as to not provide any unnecessary extra weight, but strong enough to support him throughout the race. Not content with cars, aeroplanes and medicine, metal sintering is now making its mark on sport. It won’t be long before custom printed handlebars become an increasingly common sight in professional cycling and beyond.